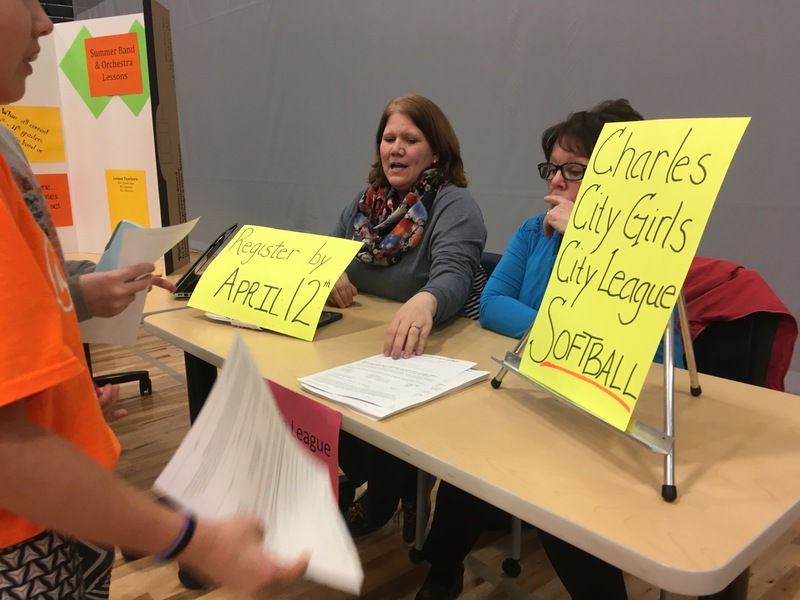 Volunteers for Charles City Girls’ City League Softball give out information and application forms during the school district’s Community Connections Night in March in the competition gym. 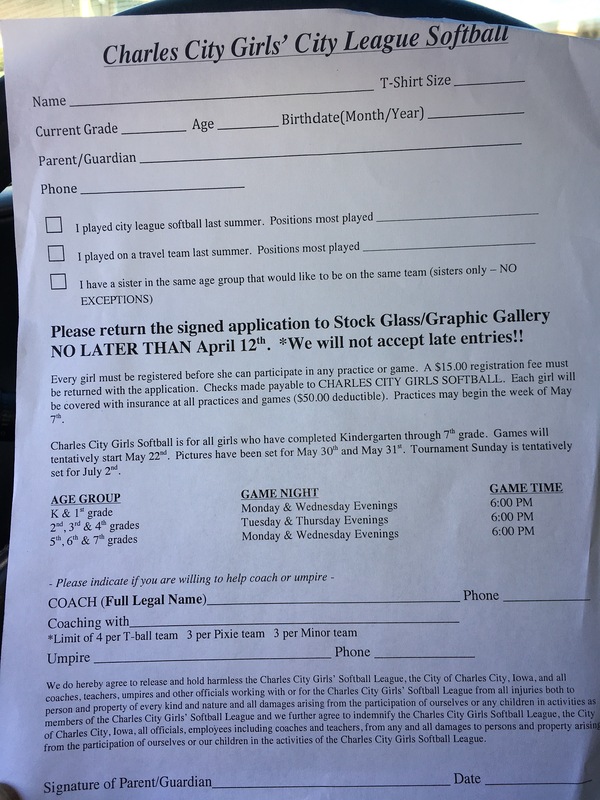 CHARLES CITY — The deadline is coming up quickly to sign up girls to play in this year’s City League. Applications need to be turned in no later than April 12 to Stock Glass/Graphic Gallery in Charles City. It’s next to Subway across the street from the courthouse. The $15 registration fee must be turned in with the application. Applications are available at Charles City schools and Stock Glass/Graphic Gallery. Practices might begin the week of May 7, according to the application. The league is for all girls who have completed kindergarten through 7th grade. All games begin at 6 p.m. The first games of the season are tentatively scheduled for May 22. Pictures have been set forMay 30 and 31. The league tournament is scheduled for Sunday, July 2. This entry was posted in Youth Activities and tagged Charles City, fearured, softball. Bookmark the permalink.